Massive growth in the field of health care provides numerous opportunities for nurse assistants in long-term care facilities, home health care, assisted living facilities, and hospice facilities. In Ohio, Certified Nursing Assistants are referred to as State Tested Nursing Assistants (STNA). They assist patients with their healthcare needs under the direction of a registered nurse or licensed practical nurse. Although STNAs may work in a variety of medical settings, the responsibilities are generally the same. Common duties include assisting patients with basic living activities, listen to residents’ concerns and take notes, measure vital signs, general housekeeping such as making beds and keeping the rooms clean, and administering treatments. 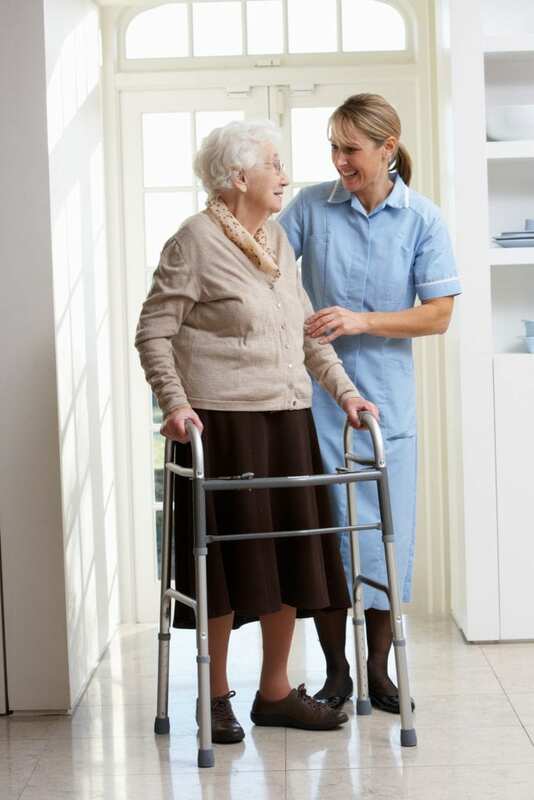 Due to the nature of the job, state and federal regulations stipulate the training that adults must undergo to work in long-term care facilities. In Ohio, candidates must complete a minimum 75-hour course comprising of theory and practical experiences in a long-term care facility and take the state competency exam. Apart from the technical requirements, candidates must demonstrate caring, empathy, and compassion, which are essential personal traits for success in the profession. Experienced instructors at Larock Academy prepare students for the state certification exam for nurse aides. They emphasize the basic nursing and personal care skills and other fundamentals areas that will ensure success on the state exam and in an entry-level position. The state-approved program exceeds the minimum standards for Ohio, offering 83 hours of classroom and clinical instruction. Students will learn the role and responsibility of the nurse aide, basic nursing skills, measuring and recording vital signs, assisting with rehabilitative treatments, infection control, range of motion, Alzheimer’s care, mental health, personal care, nutrition, observation and reporting, and much more. Classes meet Monday through Friday from 8:00 am to 3:30 pm for two weeks. A new class begins every month. Larock Academy maintains small class sizes for personalized instruction and to ensure optimal learning for all students. Tuition for the program is $415. Additional expenses include textbooks, uniforms, and clinical supplies. The nurse aide training at Absolute Health Services prepares students for employment as an entry-level nurse aide. Graduates are eligible to take the certification exam to become State Tested Nurse Assistants. AHS has a graduation rate that exceeds 97 percent. The state-approved program comprises of 75 hours of instruction in the classroom and clinical site. Experienced instructors will cover personal care, hygiene, nutrition, rehabilitation, and basic nursing skills to prepare students to provide competent care to residents in long-term facilities. Classes meet Monday through Friday from 8:30 am to 5:00 pm for the day schedule or 6:00 pm to 10:00 pm for the evening schedule. Graduates can take the state test on-site. Interested persons must be willing to take a background check and drug and provide documentation of a physical exam. TB test, and up-to-date immunizations. Medical Academy offers state-approved training for adults desiring a career as a State Tested Nursing Assistant. The curriculum comprises of 75 hours of instruction in the classroom and clinical site. It covers the essentials areas that will ensure students’ success on the certification exam and make them capable of providing competent care in acute and long-term care settings. Students learn how to assist patients with the activities of daily living, measure and record their vital signs, observe patients for critical changes in their physical or mental health and report concerns to nurses and physicians, use proper hand-washing techniques to contain infections, measure fluid intake and output, and assist nurses with the administration of rehabilitative treatments. The program may be completed in two to three weeks depending on the schedule. Ace Academy offers convenient day and night schedules. Day classes meet Monday through Friday from 9:00 am to 4:00 pm. Evening classes meet Monday through Friday from 5:00 to 9:30 pm. ACTE offers a nursing assistant program that culminates in a certificate of completion. Through 91 hours of classroom lectures, practical lab, and supervised clinical experiences, students are prepared to become a State Tested Nurse Assistant. Successful completion of the program grants students the eligibility to take State Nurses Aide Competency and Evaluation Test. Course topics include infection control and safety practices, body functioning, personal care skills, caring for the elderly, body mechanics, mobility, resident rights, nutrition, toileting, care for the dying, skin care, immobility, mealtime, and certification test prep. Classes meet Monday through Friday from 8:00 am to 4:00 pm. The cost is $695 including tuition, textbooks, TB test, background check, drug screening, and certification test. The State Tested Nursing Assistant (STNA) program offered by Boardman Training Center meets the education and testing requirements for state registration. The program is approved by the Ohio Department of Health and comprises of 75 hours of instruction in the classroom, lab, and clinical site. Graduates are eligible to take the state test to work in long-term care facilities. The curriculum covers the responsibilities of an STNA, basic patient care, the activities of daily living, bed-making, patient rights, range of motion, safety concerns, specials patient issues, inf classroom theory under the supervision of licensed nurses. Sprenger Healthcare Systems facilitates a Nurse Aide training program for individuals interested in becoming an STNA. Graduates of the program will know the role and responsibility of a nurse aide and will be able use their clinical skills and bedside manner to care for patients in long-term care facilities. Persons interested in applying to the program must have a high school diploma or GED, be able to work flexible hours, have a desire to care for the elderly, and complete a background check in accordance with the State’s requirements. Successful completion of the program requires full attendance and a pass grade on all tests. Those who complete the program may be eligible for employment at Sprenger Healthcare Systems. Tuition costs $150, including workbook. Additional costs for the State test and background check will apply. Candidates who do not desire employment with Sprenger must pay the full cost of tuition – $450. All payments must be made before the start of classes.